Ce musée conserve et présente la quintessence de la culture des minorités ethniques dans les Hauts Plateaux. Il a plus de 10,000 objets et reçoit environ 100,000 de visiteurs par an, one third of whom are foreigners. Dak Lak Museum of Ethnology is located in the center of Buon Ma Thuot city. It was built on the grounds of the former residence of King Bao Dai, the last emperor of Vietnam, nearly 100 il y a des années. The main building of the museum has a simple architectural style but reflects the cultural identity of the Central Highlands. Surrounded by a shady garden, the museum looks like a Rong- a communal stilt house- or the long traditional house of the Ede. De loin, it looks like the traditional house of the M’Nong. Formerly called the “Dak Lak traditional house”, it was officially renamed “Dak Lak Musée d'Ethnologie” en 1990 and renovated in 2008. It has three main sections featuring three different themes: the revolutionary traditions, natural features, and cultural characteristics of the ethnic minorities of the Central Highlands. The cultural space displays 520 objects representing cultural peculiarities of ethnic minorities like the Ede, M’Nong and Jarai. Installations and audiovisual gears introduce customs, festivals, and daily activities of local ethnic groups. 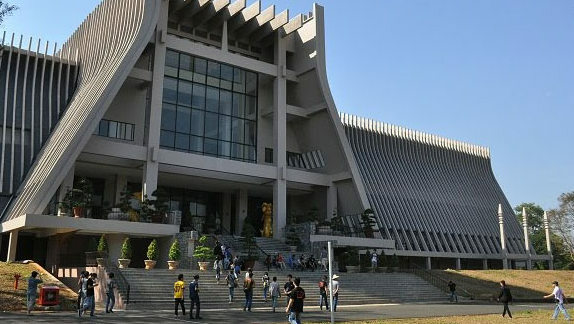 The museum has attracted many researchers and students who are passionate about the culture of Tay Nguyen. Nguyen Thi Nguyet, a teacher at Luong The Vinh college in Buon Ma Thuot, said she often brings her students to the museum. The museum provides the students with useful knowledge about the history and culture of Dak Lak and Tay Nguyen, she added. Every weekend, the museum invites artisans to show visitors the various traditional crafts of Tay Nguyen or reproduce traditional festivals of an ethnic group. The museum has contributed to educating the younger generation and promoting cultural and historical values of their ancestors. The museum now has 10 books recording visitors’ impressions on the museum and its heritages.